YouTube is a popular video-sharing website. However, the interface’s background is completely white. Hence, during the night, the glare from the screen might affect your eyes and viewing experience. Luckily, there is a somewhat hidden “YouTube night mode” feature. This feature darkens YouTube or turns the interface black. In this article, we explain how to get night mode on YouTube. There is now an easier way to activate YouTube’s dark mode. Below, the old method required you to add a line of code via developer tools. 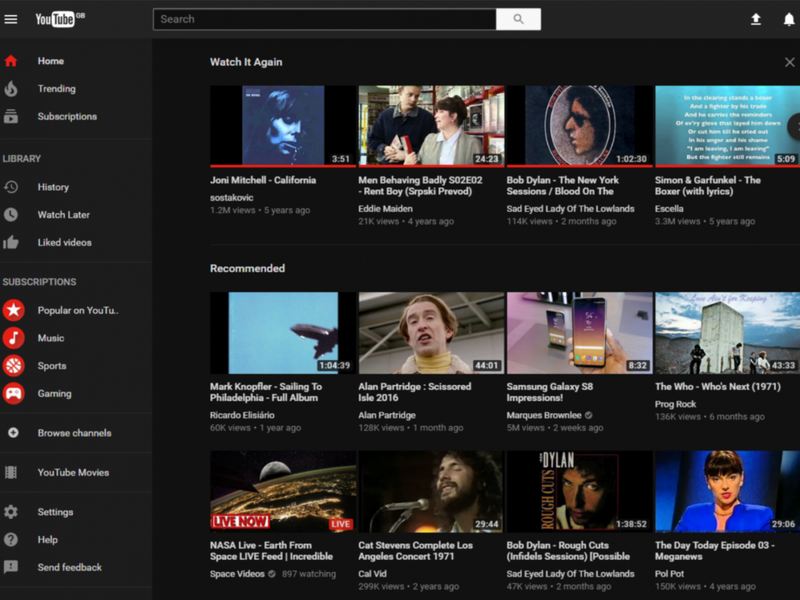 However, YouTube now has a quicker and simpler way to turn on the Dark Theme. Video at end of the article. Or, on some devices, you have to click your profile picture, then click “Dark Theme” and swipe the bar to activate it. Please note that if you do not have access to the feature as explained above, you may use the old method outlined below to access it. You now have to access developer tools. To do so, on Windows Press Windows+Alt+I. Once the developer tools menu opens, click on the Console tab. Once complete, close the developer tools window and refresh the page. Now, click on your YouTube profile icon. Lastly, click on Dark Mode to activate the hidden feature.